This collection of animations illustrates basic concepts in physics and astronomy. Topics include astronomy, mechanics, vectors, electricity and magnetism, waves, optics, and many others. The animations are organized by topic and may be downloaded or streamed from the website. 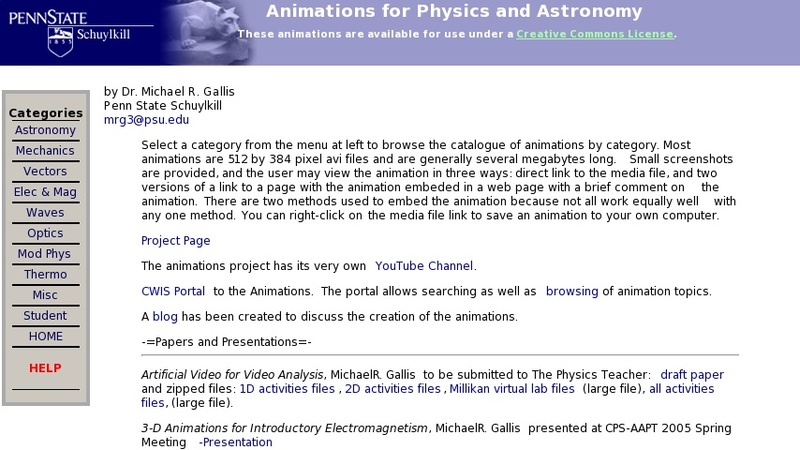 The site also includes links to papers on the use of animations in physics education.